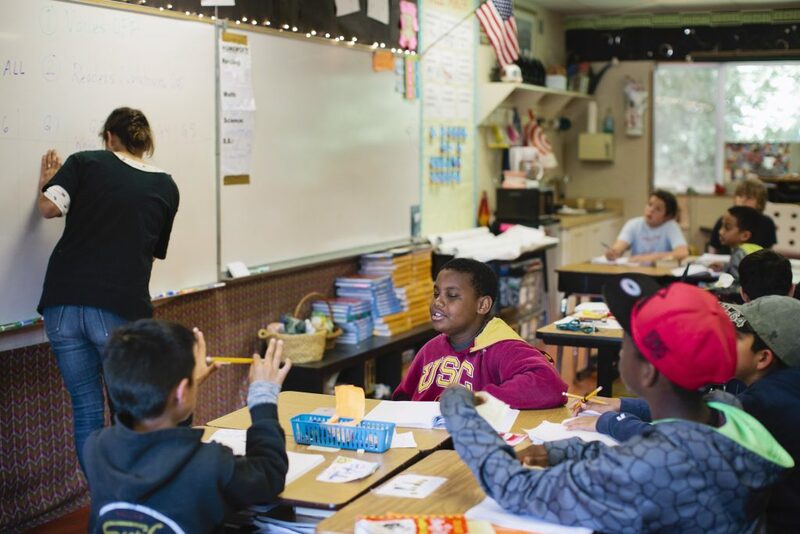 When the results of the third year of the Common-Core-aligned Smarter Balanced tests are released in California this week, they will almost certainly receive a great deal of attention, in the media and elsewhere. There will be an outpouring of analysis, and another round of back slapping or hand wringing, depending on what the scores show. The results will inevitably be held up as evidence of whether California is on the right or wrong track with the series of education reforms introduced during Gov. Jerry Brown’s tenure. These include the Local Control Funding Formula, which was approved by the Legislature in 2013, and which devolved more decision-making to local school districts, a new accountability system, and the Common Core standards in math and English. But it is worth asking some basic questions. What will the test results tell us? How much should we care about them? Do they matter? The reality is that school districts have already received student results, as have parents who were mailed individual notices about how their children did. “We were able to start the school year with good data on how students performed,” said Ting Sun, the executive director of the Natomas Charter School in Sacramento, echoing remarks from other school officials interviewed by EdSource. Ting is also a Brown appointee to the State Board of Education. “We never had that under the old system,” she reflected at the board’s meeting two weeks ago. One of the main reasons California administered the Smarter Balanced tests was because the test results are supposed to be more useful to teachers in improving instruction in their classrooms and with individual children. They are also supposed to give parents a better sense of the academic strengths and weaknesses of their children. So in theory at least it is up to local school districts to use the information they have already received, not to wait for the state’s official release to do so. In addition, the state has also broadened the way school outcomes are measured to go beyond mainly looking at results on standardized test students take once a year. Instead, it has developed a color-coded “dashboard” of multiple measures, which includes not only test scores but other factors, such as graduation rates and suspension and expulsion rates. These are intended to give a more three-dimensional view of school success or failure than scores on standardized tests. A variation of this “multiple measure” approach has since been incorporated into the federal Every Student Succeeds Act now being implemented in all 50 states. It is also the case that in a state with close to 1,000 school districts and 10,000 schools, test results are a blunt instrument in telling us what is going on. The statewide averages are just that— averages. They mask how well individual schools and students are doing, and similarly, how poorly others are doing. Smith acknowledged the value of looking at multiple measures of success, “but that doesn’t mean we shouldn’t look at achievement levels of kids” as indicated by their test scores. The scores are also essential for research purposes, said Laura Hill, a senior fellow at the Public Policy Institute of California. “It is really important to have that database and results on the state level,” she said. Because the database includes results of every school and district in the state, it allows educators to see how they are doing relative to others. “It is a real important tool, not only for researchers like myself, but for researchers at schools and districts to evaluate how things are going at their district in comparison to others,” Hill said. Because the state is now in year three of the new academic standards along with new tests designed to measure them, “we are getting to the point where we have to see some signs of progress,” Plank said. Plank is 100% correct. Testing keeps education leaders eyes on the ball, focused on student achievement. It’s obvious that the flat results were “leaked” in the individual results and that there’s an effort to downplay the results now that they are tepid. I recognize that test results are not the whole picture and only as good as the test validity. But we’ve already downgraded the weight of testing we need to man the barricades and prevent further dilution of what is the single important aspect of education, student achievement. The arguments to overemphasize the importance of the new scores continue to rely on one of the fundamental myths of public education. This was the myth the misbegotten NCLB and self-styled reformers used to handicap real educational progress in the nation for over a decade, and mask the real causes of educational underperformance. The myth is that public school employees just need to be ‘incentivized” to make students perform better. There is not a shred of evidence that teachers and other school employees are not working to capacity. Test scores do nothing to add to school performance, though across the US there were a number of instances where cheating was incentivized by draconian administrative testing polices. The real cause of poor school performance in children is poverty. A more refined look shows that student performance on even a computerized and “adaptive” testing system still closely tracks to parental income levels, parental education levels, and the primary language used in the home. The US continues to lead almost all of the industrialized world in the percentage of children living in poverty, and CA leads most of the states in the percentage of students in poverty. CA also continues to be well below the average of states in school funding per child in cost-of-living weighted dollars. There are real problems to deal with in education in the US and CA. Testing isn’t one of them. Yes, in the best Lake Wobegon fashion, make sure every school and district can argue that it is above-average. Nonsense. Bring back the far more meaningful CSTs and drop the rest. Louis, this release of the test scores is very important at a district level. Our local community and board have seen very, very little in the way of results for the 16-17 CAASPP. But maybe other districts have shared more information publicly? As a board member, I’m waiting to see the state released information to finally see subgroup data and look at our progress on the achievement gap. I’m also interested in comparing cohorts of students (15-16 3rd grade results to 16-17 4th grade results etc) to see if groups of students are showing growth. And don’t forget, the Dashboard tells us nothing about the percentage of students who are at or above grade level – that information is only available in the CAASPP scores. The Dashboard instead shows an averaged score for a school or group. And I’m not sure which other academic indicators people would have us use. So – many reasons to look forward to the release!